Summer feels like it's officially here! Yesterday when I went to work I didn't even bring a jacket, believe it or not. And my sandals have been firmly on my feet for a couple weeks already. 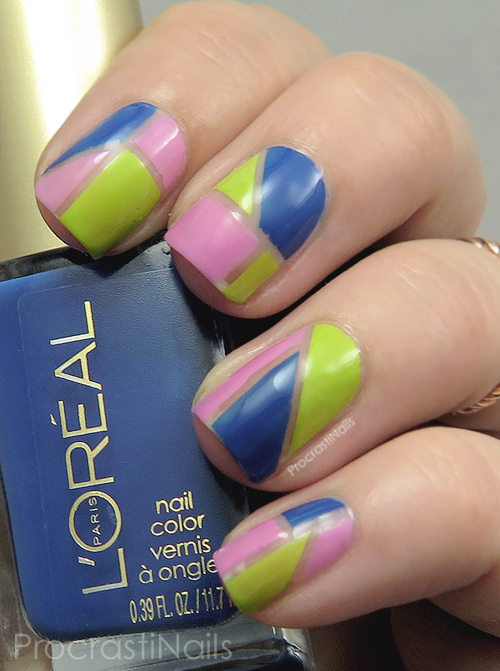 :) Let's celebrate with a colourful mani! 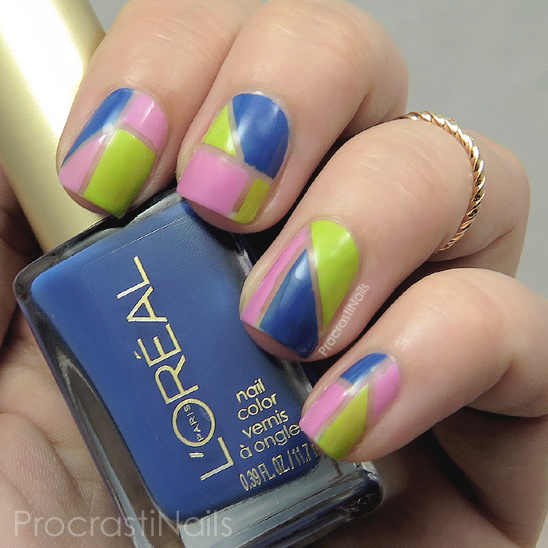 To put this look together I started by randomly taping off some geometric segments with striping tape, and then I filled in the sections with L'Oreal Nail Color New Money, Butterfly Kisses and Jet Set to Paris. 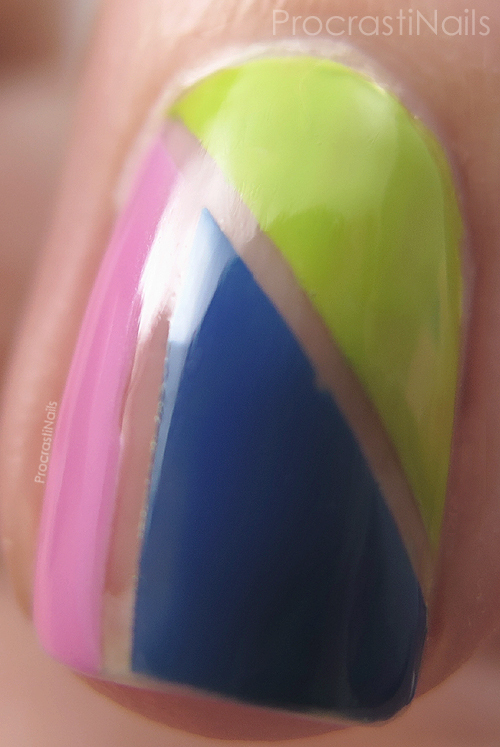 Peel off the tape, add some top coat and ta-da! When I sat down to do my nails I decided I wanted to do something simple but bold. What I ended up with reminds me of a pattern that I would love to have on a flow-y girly summer dress. Can you imagine? Paired with some simple earrings and some gold sandals... Ahhh, it would be lovely! What colours and trends do you like to wear in the summer? Is this something you would rock? :) Let me know! All nail colours used in this post are available at Shoppers Drug Marts across Canada. You can check out Shoppers Drug Mart on facebook, twitter and instagram! Really fun color blocking design here!